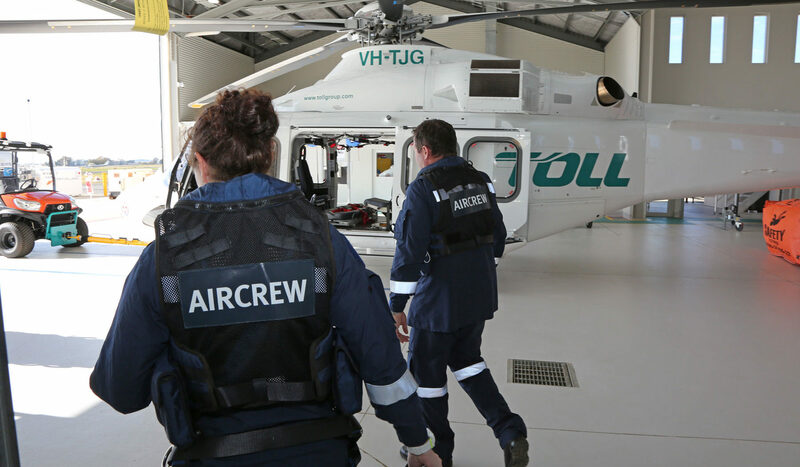 Southern NSW has access to world-class aeromedical care with a brand new purpose built base at Orange as part of the NSW Government’s $151.2 million statewide Helicopter Retrieval Network. Health Minister Brad Hazzard, NSW Ambulance Chief Executive Dominic Morgan and General Manager Toll Helicopters, Mark Delany, joined local aircrew and NSW Ambulance helicopter doctors and paramedics at the official opening of the Orange NSW Ambulance & Toll Rescue Helicopter Base today. The $2.5 million base, which forms part of the Southern Zone along with bases at Bankstown, Wollongong and Canberra, is a major investment for local communities and means a significant improvement in emergency medical care for residents throughout the Central West and beyond. Over 350 missions have been completed since the 14 May 2017 beginning of operations at Orange NSW Ambulance & Toll Rescue Helicopter Base which houses one AW139 aircraft online 24/7/365. The NSW Ambulance & Toll Rescue Helicopter fleet is made up of eight new purpose-built best in class Agusta Westland 139 (AW139) helicopters, which deliver the latest in performance, safety and innovation – assisting NSW Ambulance helicopter doctors and paramedics to reach patients in remote areas, further and faster than ever before. Commissioner Dominic Morgan, Chief Executive of NSW Ambulance praised the new partnership.